Get your doggo ready. Architectural Digest here you come. Let’s be honest, while we all love our pets, a stunning magazine worthy home doesn’t always go hand in hand. 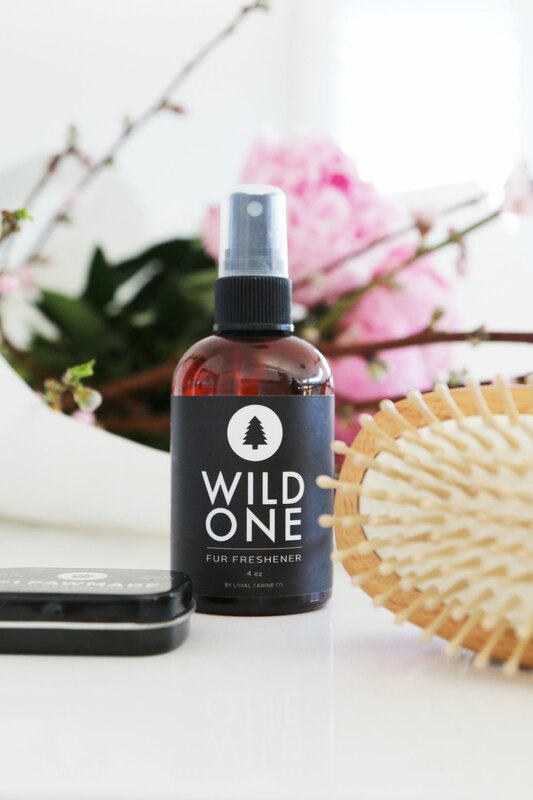 Muddy paw prints, ugly dog blankets, dog hair on everything…the list goes on. But what if I was to tell you, you CAN have a beautifully styled home with pets? And best of all, it’s easy to create with minimal effort. Any interior designer worth their salt will tell you: every home starts with a color scheme. And you can’t forget about pet products with that. I’ve lost count of the amount of times I’ve entered a beautifully renovated and styled home, only to see a shabby brown bed thrown hastily in a corner and a bright blue plastic dog bowl sitting next to the kitchen counter. By all means, I’d never judge a person on their choice of dog bowl, but if you’re making an effort with the rest of your home, don’t stop at the pet supplies. To get started with a color scheme, take a look at the main pieces in any given room. 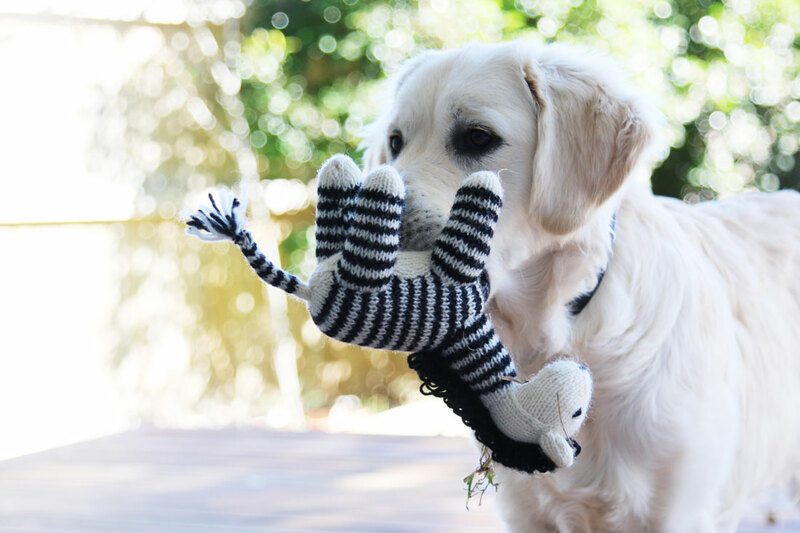 If your vibe is monochromatic, choose black and white pet accessories that match. A fan of greys? 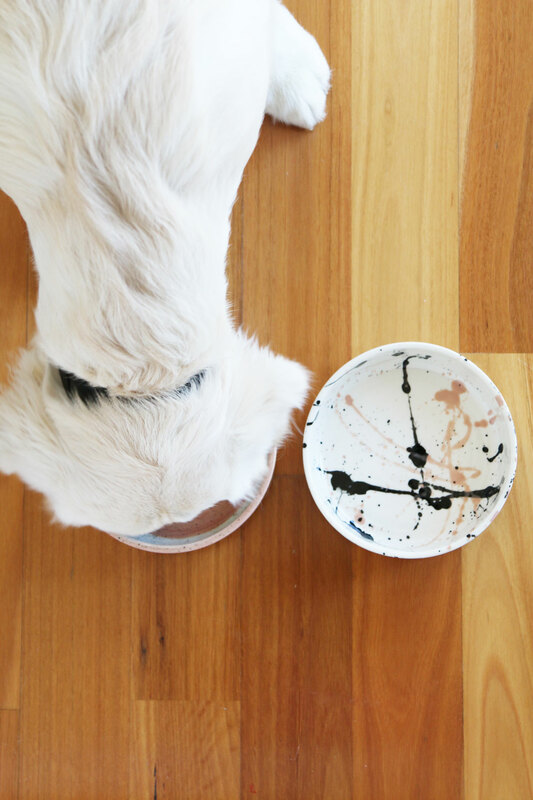 Look for blush accented dog bowls to add the perfect accent color. By general rule, a room’s color palette should have one main color (i.e. walls), one secondary color (large furnishings, rugs etc) and a few accent colors and textures and bring them all together. One expert tip to to start with a piece you love – be it an artwork, rug or wallpaper – and draw your color palette from there. 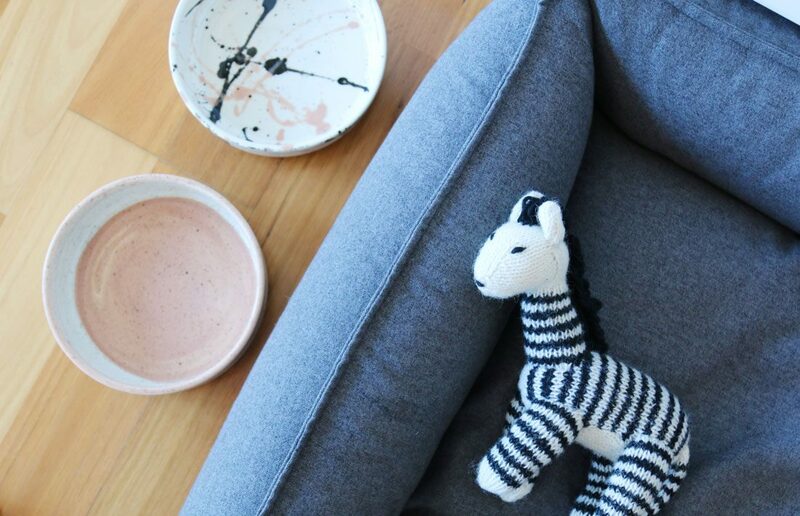 Whatever pieces you choose, extending your color scheme to your pet supplies allows them to integrate seamlessly into your home as another gorgeous piece. I often get asked where pet owners should scrimp and where they should spend on pet supplies. And my answer every time? Spend on the the bed. Just like us, dogs need a good bed to sleep in, relax, and have their own personal space to call their very own. And because even the smallest dog beds aren’t small, they unwittingly become a major piece of a room whether you like it or not. 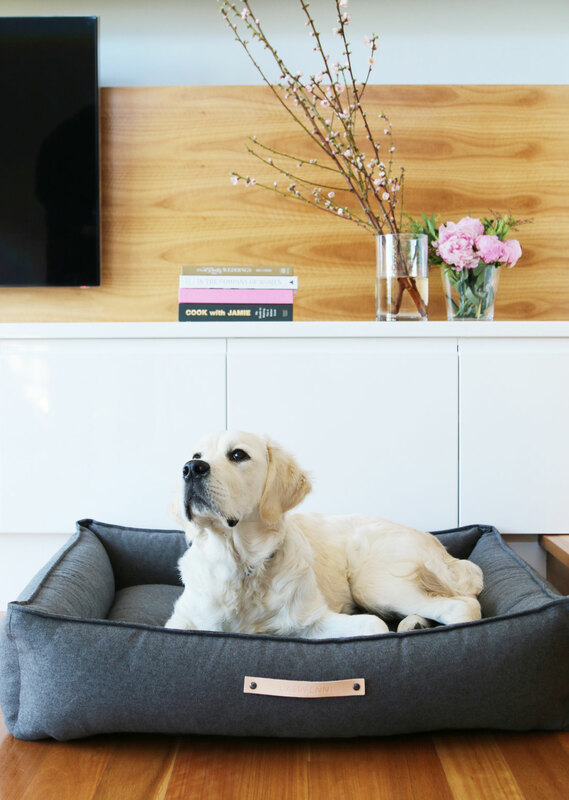 Invest in a dog bed that has classic lines, durable materials and a sophisticated palette (step away from the paw prints!) Look for hypoallergenic foam fillings, and washable exteriors that make for comfy dozing and easy cleaning. 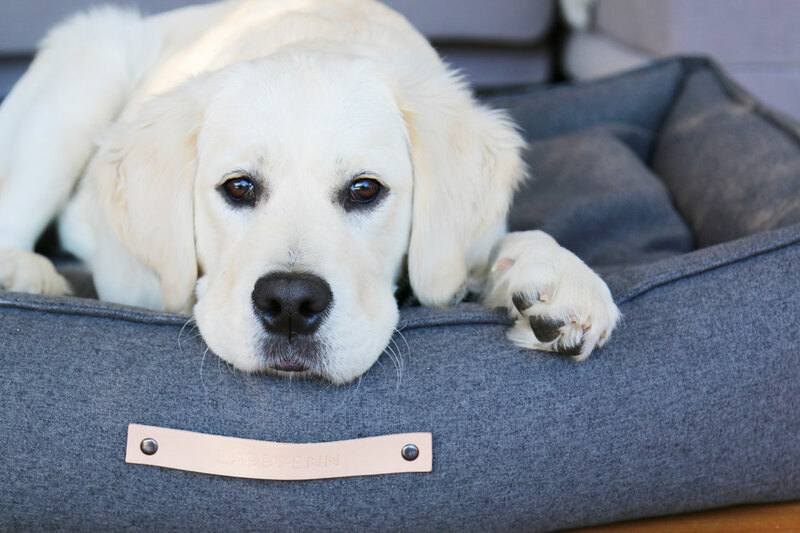 A quality dog bed will stand the test of time and will be an investment you won’t regret. 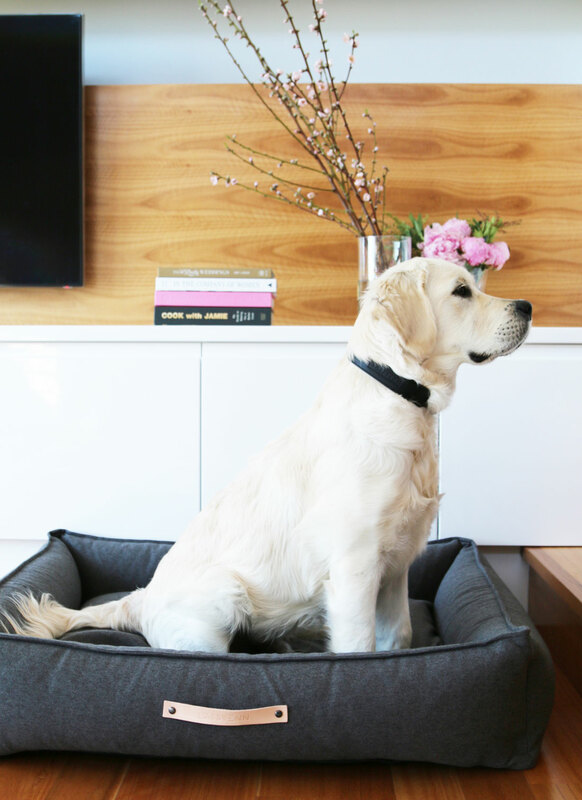 The materials you choose for your pet supplies will literally make or break your quest for a stylish pet friendly home. Poorly made beds, collars and bowls will just cost you time and money in the long run as they will easily tear, wear and disintegrate with use. 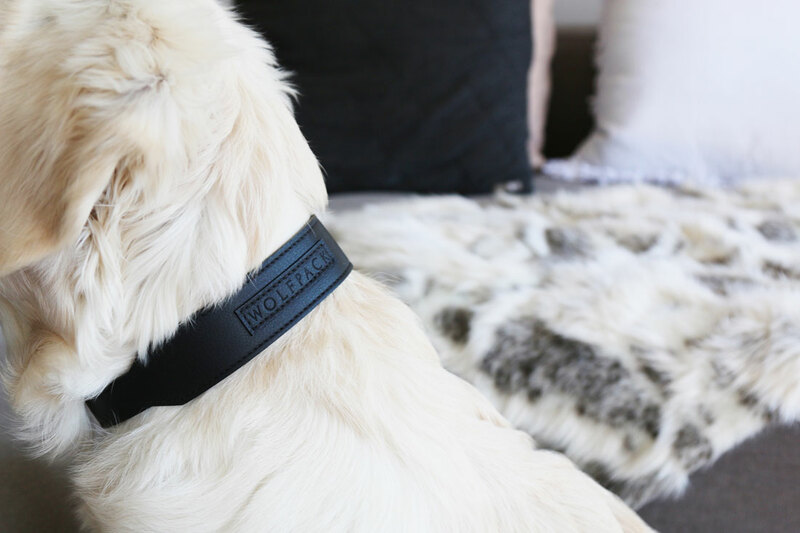 For the bed, look for dark hues or patterns if you dog tends to bring muddy paw prints everywhere he goes; while collars and leads need heavy duty fittings and quality materials that not only look good but keep your pup safe. 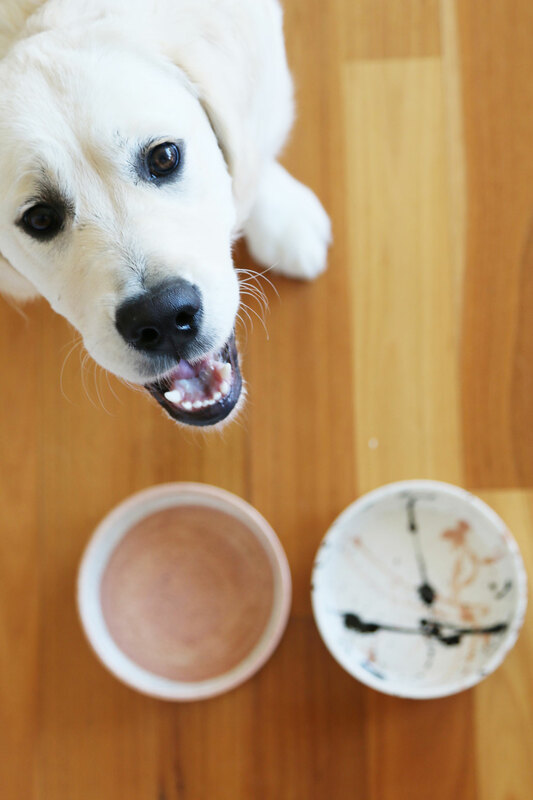 The dog food and water bowls are often the forgotten piece of the puzzle in any pet friendly home. Firstly you need to be practical – think, does your dog eat and drink inside or outside? Do they need multiple sets of bowls? Do they need a raised feeder? Do they have a tendency to knock over their water bowls? A beautiful yet totally functional go-to option are ceramic bowls. Weighted on the bottom, they’re too heavy to knock over or move around (No spills! No mess!) Plus the glazed finish gives a luxe, timeless quality other bowls just don’t have. There are so many stunning bowl designs these days that they can easily work within any modern home. “A place for everything and everything in it’s place.” Your grandma didn’t tell you that without reason. One of the easiest ways to keep your home looking beautiful is to have dedicated storage area for your pet’s things. 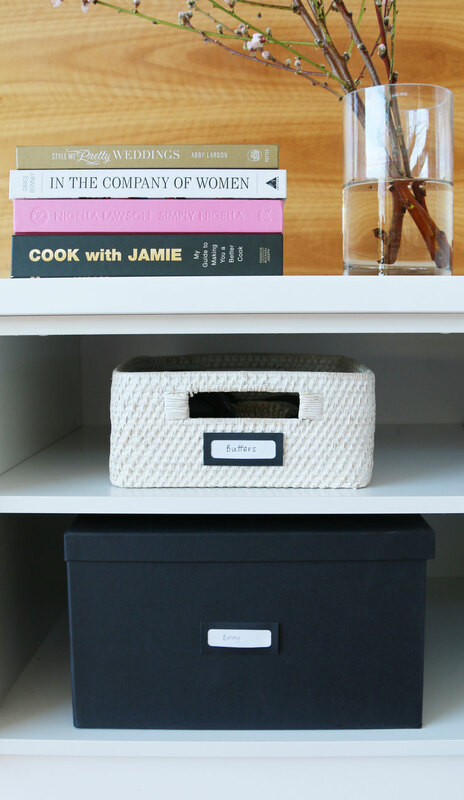 Grooming products, lint rollers and apparel can all be stored neatly in a dedicated shelf or basket. Choose a spot tucked away out of sight, but easily accessible. That way you no longer have random pet products cluttering up your living space. Woven baskets make great hidden-in-plain-sight toy storage, whereas beautifully crafted collars and leads can hang proudly on display. 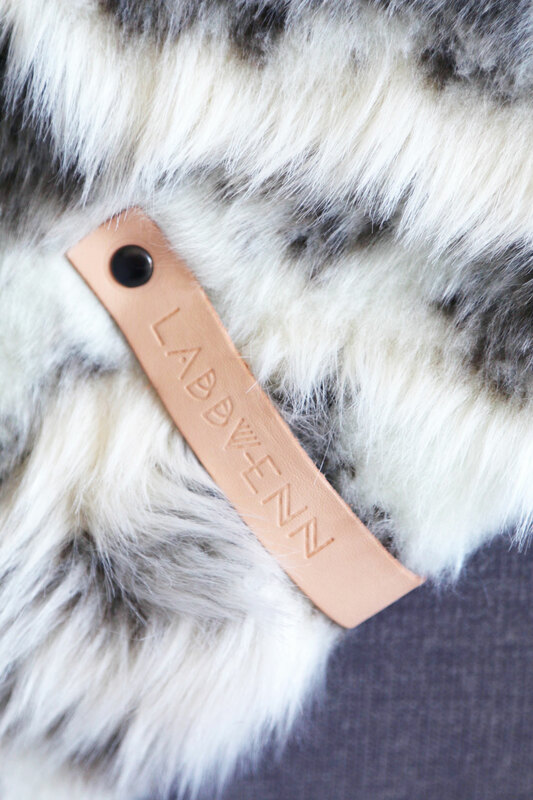 Got a stunning, handmade leather leash? 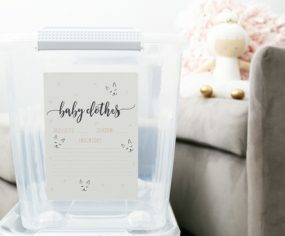 Hang that baby in plain sight and let people see how lovely it is! 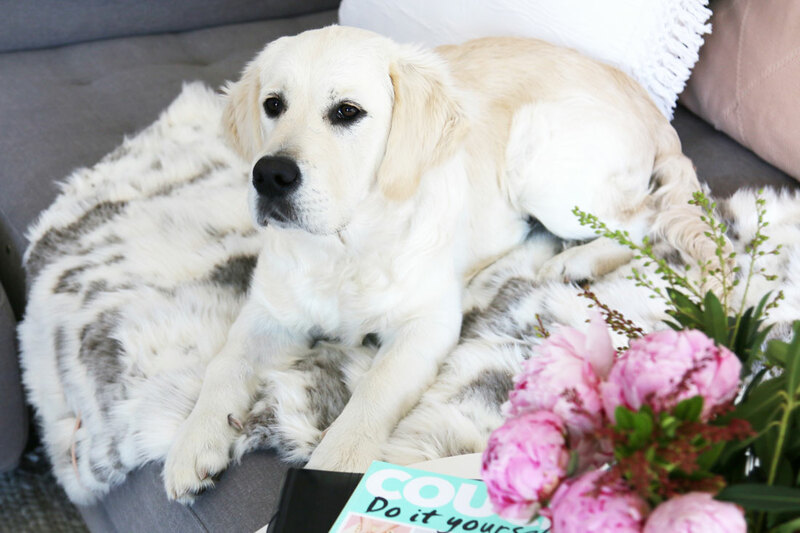 Any seasoned dog mama will share this tip: throws make a stylish pet-friendly home possible. Pop them on your lounge, on the foot of your bed, on the floor…a well placed throw (matching the color scheme you’ve chosen, of course) hides a multitude of sins, protects your furniture AND adds a stylish textural element to any room. 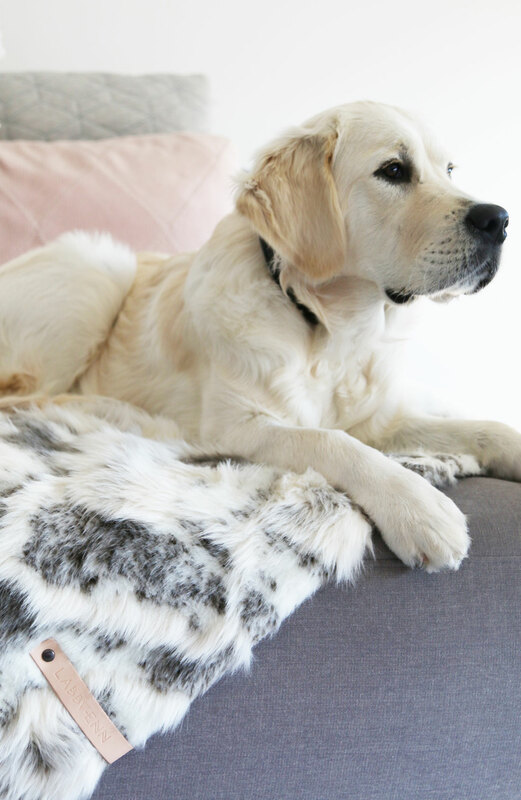 Faux hides and fur evoke a timeless, luxe feel and are also super comfortable for your pup, whereas chunky knits add texture and pops of color – all while working double duty to protect your furnishings from claws and paws. By now, you have a magazine worthy home, with all your pet goodies blending seamlessly into their surrounds (and the not so seamless ones tucked away in their own space!) But to keep it that way you need one final step: grooming. Because who wants a gorgeous home that on close inspection leaves everyone covered in fur and smelling like whatever the dog just rolled in? 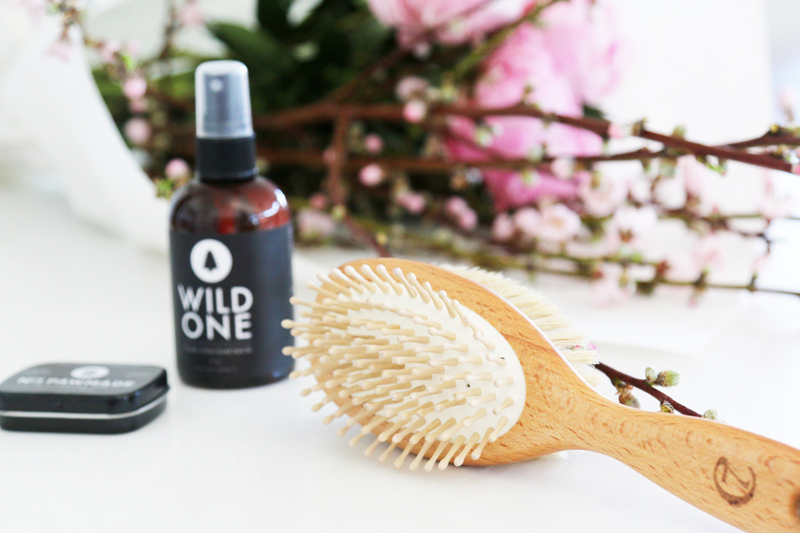 A quick brush every day keeps dog hair at bay, while a fur freshener will keep your home smelling luxe too. That’s it – less than five minutes and your home is good to go. From then all that’s left to do is enjoy the beautiful surrounds of your perfectly pet friendly home. 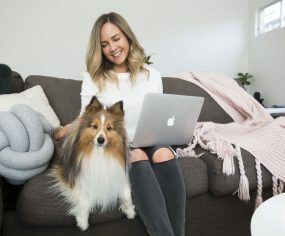 Founded in 2018 by a duo of fashion-focused dog moms, For The Furry is a curated shop and lifestyle destination dedicated to the finer things for our four-legged friends. 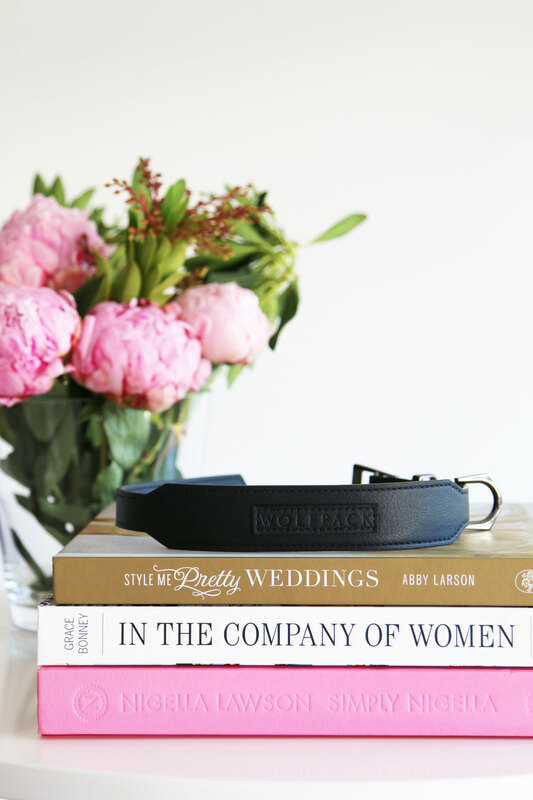 Celebrating fashion, travel, and above all—a love of animals—FTF features well-considered and thoughtfully designed accessories, apparel, and home goods for fur babies and the ones who spoil them.